Why is it that every time I start to feel like I’ve mastered motherhood, even if it’s only a little, teeny, tiny bit, I get smacked in the face with a much different reality? 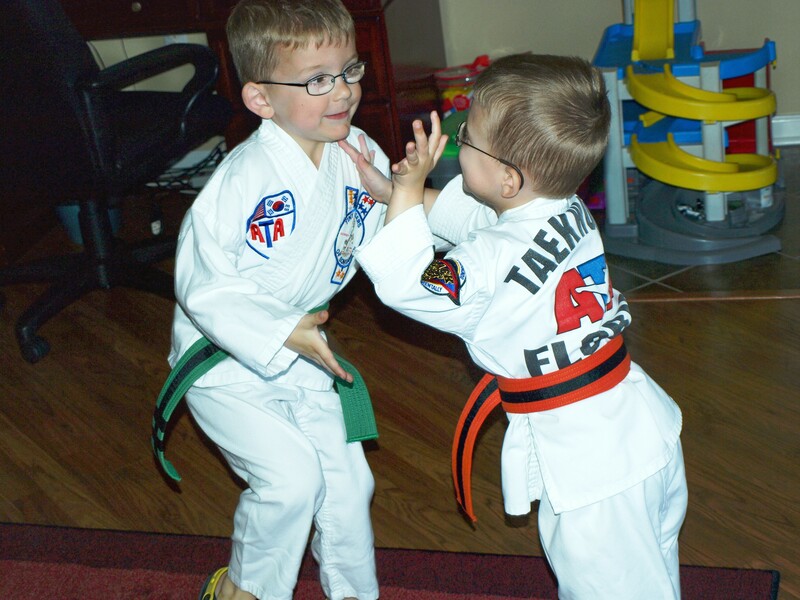 I had the boys at Tae Kwon Do and it was going sort of smoothly. I felt like I wanted to strangle little T.Puzzle only once while dressing him in his uniform (a record I think) and Full Speed was on top of his game. Overall, class was incident-free except for a portion where T.Puzzle didn’t feel like listening to the instructor and fake cried to emphasize this feeling. I’m so glad the instructor doesn’t fall for the fake cry. After class we make our way out. I feel good. I find myself smiling a self-satisfied smile. I’m thinking, ‘See? I can do this. I can control my children and they can appear normal to the outside world’. Of course exiting the studio they almost tackle a sign standing by the front door and then they try to tackle each other. Even after these little snafus we are able to regroup. We walk in a semi-organized fashion to the truck and they hop up to their seats. I get everyone strapped in and I am just about to put the key in the ignition and write this experience off as almost easy (almost!) when Full Speed announces he has to ‘PEE!” and by the panic in his eyes, it looks like he is seconds away from doing so. I sigh and wipe the smile from my now-feeling-very-tired face, and I gather up the monkeys and we traipse back in like a trio of drunken sailors. We knock over things, the boys trip over themselves and we pretty much call the attention of everyone in the studio and anyone in a two block radius.